Emcure Pharmaceuticals, a leading integrated global pharmaceutical company from India, today, announced the launch of the world’s first generic version of Eisai Pharmaceutical’s Halaven (Eribulin) for the treatment of metastatic breast cancer (MBC). 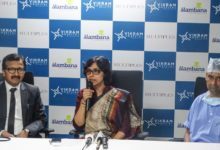 Emcure will be marketing the drug under brand name ‘Eribilin’, with an aim to offer high-quality and cost-effective treatment option to breast cancer patients in India. 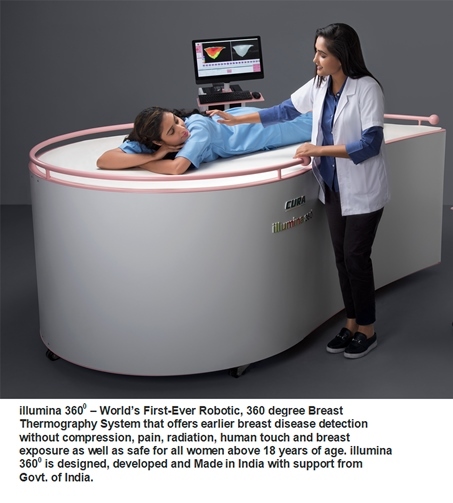 “Incidence of breast cancer is on the rise in India and being a price sensitive market with low awareness, with the launch of Eribilin we aim to provide a proven and cost-effective treatment of high quality and efficacy as offered by the innovator brand. 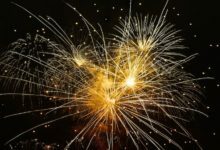 It is a proud moment for Emcure to launch Eribilin, the world’s first generic version of the innovator brand that will break the price barrier making it a cost-effective option for patients,” said Sainath Iyer, President – Business Strategy & Specialty Business – Emcure Pharmaceuticals Ltd.
Emcure’s Eribilin has been approved by DCGI to be marketed in India. “Breast cancer is the most common type of cancer affecting women in India and its incidence is on the rise. Currently available treatment for triple negative breast cancer in India is out of reach of most patients due to its high cost. Emcure’s Eribilin will change this scenario by offering a world-class, high quality drug at a reasonable price to the patients in India” said Sainath Iyer, President – Business Strategy & Specialty Business – Emcure Pharmaceuticals Ltd.
Eribulin is a non-taxane inhibitor of microtubule dynamics and remains effective in MBC previously treated with an anthracycline and a taxane. Eribulin is a complex API derived from a marine natural product called Halocondrin B. “Emcure’s R&D resources are equipped with technical competence and state-of-the-art development facility to develop such complex generics. 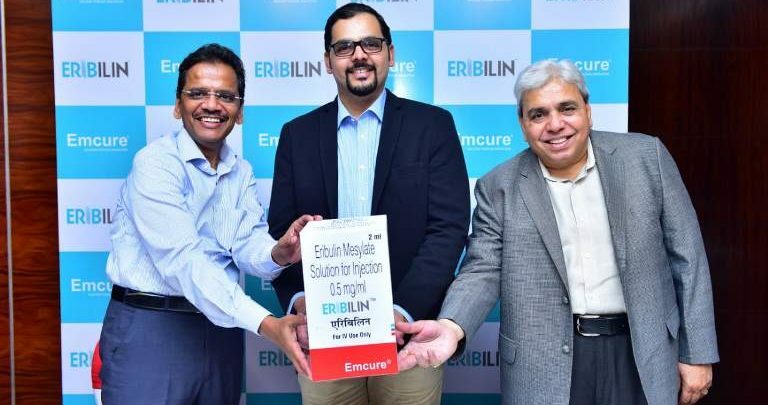 Generic Eribulin is a landmark achievement of Emcure’s R&D efforts both in API manufacturing and formulation,” said Dr. Mukund Gurjar, Chief Scientific Officer, Emcure Pharmaceuticals. Emcure will manufacture generic Eribulin at its state of the art plant at Hinjewadi in Pune and market it at a cost which will be approximately 40% less than the innovator brand bringing hope to millions of breast cancer patients in India. The drug would currently be marketed in India, however Emcure plans to register the brand in international markets as well, wherever the drug is about to go off-patent.